Pros: Some fantastic performances and a sharp, witty script. Cons: The beginning of the second act lagged a bit but got back on track by the end. 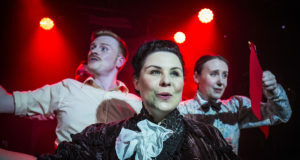 Our Verdict: A really excellent new work with a cast and script which work together to provide an entertaining and interesting insight into the private lives of some great storytellers. The last time I visited the Tristan Bates, the space was grunged up and dark for the captivating solo thriller piece, Bones. It has experienced quite a makeover since, now decked out in pastels and fineries as a post World War I hotel on Burgh Island off the coast of Devon. 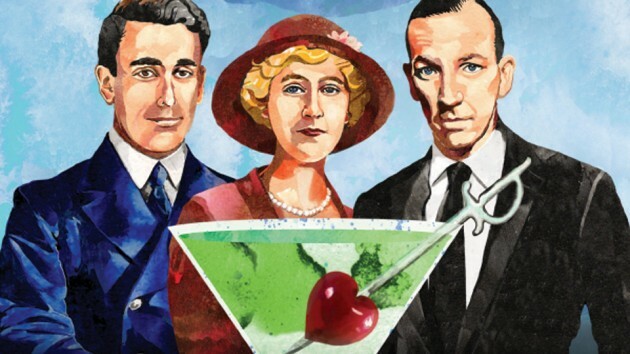 Real historical figures Agatha Christie, Noël Coward and Lord Mountbatton populate the stage in this delightful period piece, bringing humor, music, literature, and history together in a timeless exploration of human relationships. The story was inspired by playwright Jeremy Kingston’s discovery that Coward, Mountbatton, and Christie often vacationed at the same hotel in Devon and on one occasion, Mountbatton pitched a plot to Christie for a novel. Kingston works to capture the three in their earlier years, prior to becoming iconic figures. What results is a truly unique work which combines many interesting elements, allowing the production to stand apart from many other period pieces – bringing together figures of politics, music, and literature in this way was a stroke of brilliance and creates a satisfying adventure. 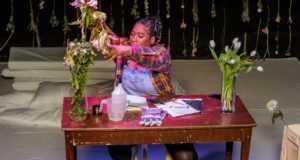 By incorporating familiar figures, the play is able to explore some very interesting topics, predominantly sexual and marital relationships and the creative process. The characters all seem to be struggling with their relationship situations and the men in particular with their sexual identities and responsibilities. Coward and Christie being artists, the ethics of entertaining and writing are brought before us to consider as well. Yet none of this is waved before us in heavy handed exposition – there are plenty of laughs and light moments peppered throughout more serious subject matter, making the play an easy and enjoyable one to watch, without sacrificing quality. While the beginning of the second act took a quarter of an hour or so to land on its feet and recapture my attention after the interval, I was pleased to be welcomed back into the world of the play. In addition to having discovered a fascinating event to ground his play, Kingston excels in dialogue as well. His characters all have unique voices, and are representative of their historical counterparts. His bourgeois cast of characters are perfectly charming and witty but retain senses of individual identity, and his way of capturing, in particular Coward’s diva-esque personality as well as Christie’s pensive, logical demeanor and containing them within the same room is a testament to his skill. Of course the cast can be much thanked for the experience as well. Phineus Pett stands out with his performance of Coward – he is delightful and impassioned on stage, capturing Coward’s humor and temper with equal skill and energy. While the play suggests ‘Dickie’ Mountbatton will dominate our attention, it is without a doubt that Pett and Coward’s outrageous personality steals the show. The entire cast deserve as they support Pett with skill, humor, and truthful performances of their own. Making Dickie Happy is not to be missed! I don’t think I’ve ever seen an historical play as approachable or unique as this one and paired with this great cast, it’s well worth your time! Making Dickie Happy runs at the Tristan Bates Theatre until 30 March 2013.